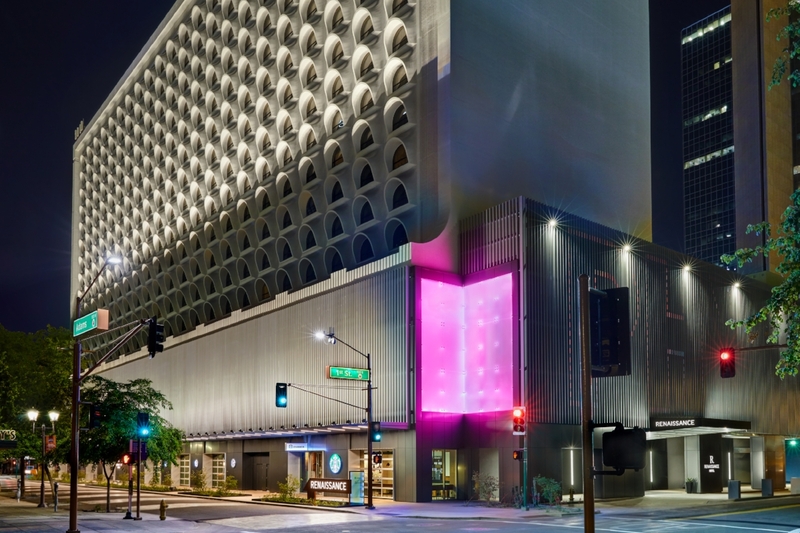 When it comes to the best things to do in Phoenix, few people know more than the experienced concierges at Phoenix resorts and hotels, including the Renaissance Phoenix Downtown Hotel. When it comes to the best things to do in Phoenix, few people know more than the experienced concierges at Phoenix resorts and hotels. We’ve got the the insider tips, secrets and recommendations of more than a dozen concierge hosts that we’ll be bringing to you in the coming months. 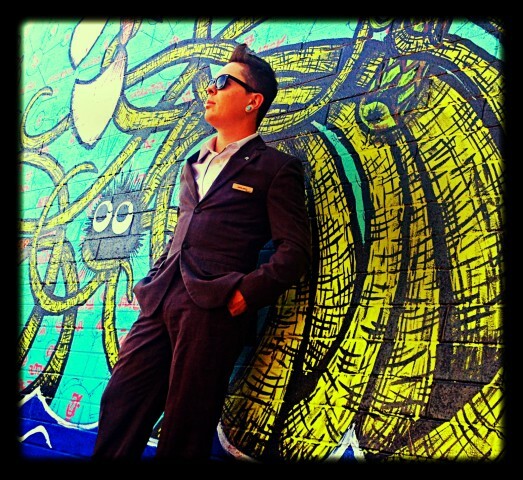 This week we feature Jesse Perry of the Renaissance Phoenix Downtown Hotel. Desert Botanical Garden – A wonderful dose of what the Sonoran Desert has to offer with a convenient café and beautiful glass work by Dale Chihuly at the entrance. If you visit during spring, be sure to check out the butterfly exhibit, which usually takes place March to mid-May. Piestewa Peak — For anyone who enjoys being outside and being active, this a perfect mountain to hike. It has a variety of trails, for the novice all the way to the experienced hiker. 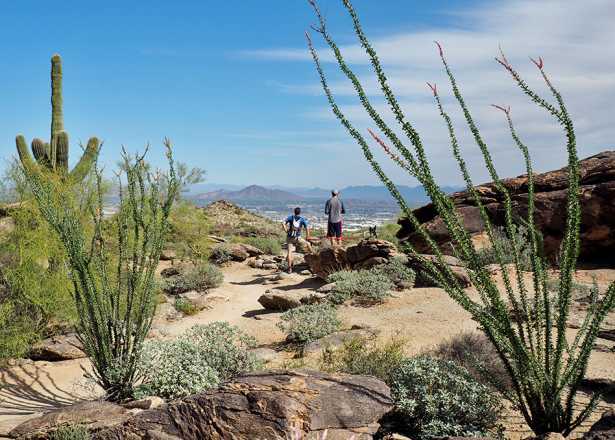 Piestewa is the second-tallest peak in Phoenix (behind Camelback Mountain) and offers a spectacular view. Stand Up Live — This is one of the top five comedy clubs in the country, with some of the biggest names rolling through on a consistent basis. It has a great atmosphere and keeps things intimate. The only time I can remember not laughing is when I’m eating one of the delicious menu items they have to offer. Cosanti — This experimental town is technically in Scottsdale, but it’s worth the travel. Construction began in 1970, headed up by archeologist Paolo Soleri, who demonstrated the reduced environmental impact people can have when building in an urban location. Using compressed sand, shaped trenches and concrete, a team of archaeologists developed a micro-city that you have to see to believe. 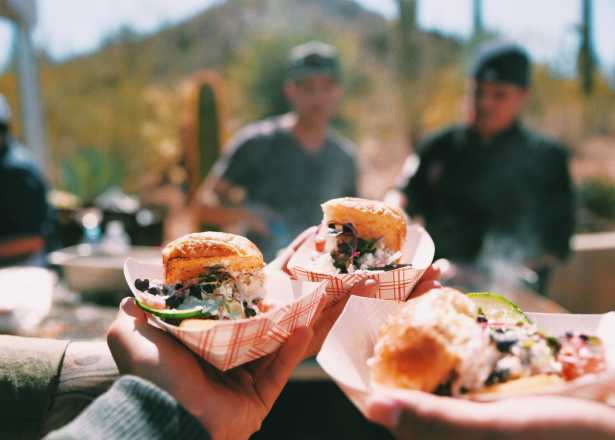 Taste It Tours — As far as I know, this is the only consistent food tour of Phoenix that happens every day (except for a short while during the hottest parts of the summer). The tour changes every day but always begins at the Urban Olive Oil shop, where you taste infused, aged balsamic and olive oils paired with white wine, red wine and even gelato. The tours are not only tasty, but packed with historical information about the restaurants and city itself. Welcome Diner — It’s the only true diner in the city with funky hours that always seem to fit my schedule. 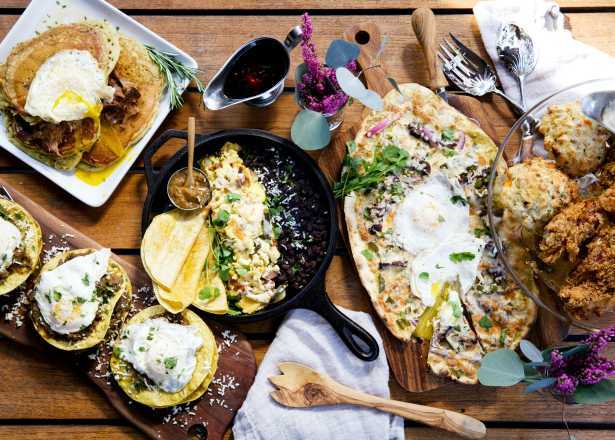 They also hand-pick local products to create inspired seasonal dishes that delight! Centurion (edit: now closed) — This fantastic European bistro is nothing more than a hole in the wall, but they can fit food from five countries on one plate! Bar Maximus next door offers the best infused-alcohol selection and barrel Manhattans in the city. Hana Japanese Eatery — This is hands down the best and freshest sushi in the Valley. Hana is family-owned and operated and has some of the best fish you can find. With daily specials and fish being sent from Japan via FedEx, you will never run out of tasty things to try. If you have room, the Hana an Mitsu is a beautiful and delicate dessert. Sierra Bonita — In my opinion, this rustic restaurant represents Southwestern flavor in the perfect fashion. Their old-world cooking style makes it easy to taste the seasoned smoke in every bite. The pork ossobuco will change your life! The Japanese Friendship Garden — A secret gem of Phoenix that is nestled in the historic district next to Margaret T. Hance Park. This garden is one of many sister gardens throughout the world. It has a half-mile walking path, enormous koi pond, original Japanese sculptures, brilliant plant life and an original tea house (complete with a tea ceremony). Aside from a bicycle, Metro Light Rail is a wonderful tool for navigating the city. I believe a lot of locals are missing out on the history of their own city. There are a variety of free museums in downtown. 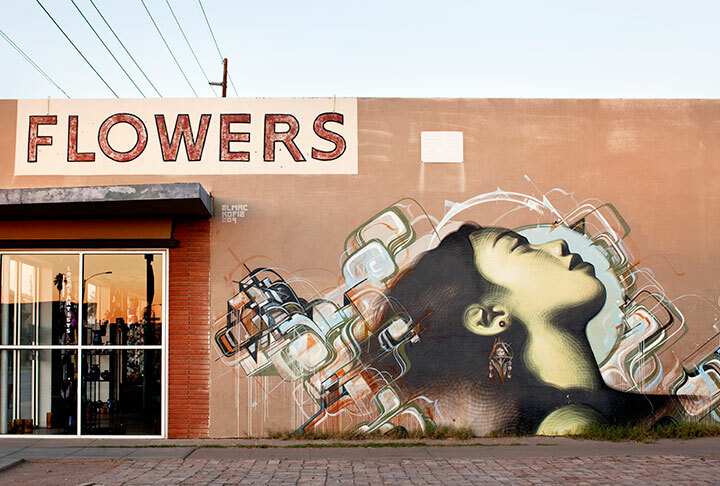 City tours are offered by the Downtown Phoenix Partnership, and mural tours are offered by the downtown Phoenix Hostel. I believe it is important to know about the roots people either come from or have chosen to adopt. Taking in the murals of downtown Phoenix has to be my favorite way to experience the city. There are about 15 professional muralists and a few novices who have created nearly 100 murals throughout the downtown area. It is always a pleasure experiencing one on the way to or from work, or even discovering one off the beaten path when heading out for a meal or an evening with friends. It makes the city a more magical place. The Phoenix Public Market — The Saturday morning market happens every week and is a great place to get local products and produce. There is something satisfying about buying, preparing and tasting the bounty your own home has to provide. There’s a lot to do, so let’s get started! First we would start by having breakfast at Matt’s Big Breakfast before walking it off on your way to grab a quick coffee at Songbird Coffee and Tea House to give you some fuel for the early morning mural tour of Roosevelt Row, after which you will be guided to Margaret T. Hance Park, the Irish Cultural Center and Japanese Friendship Garden. At this point I would say it is about lunch time, which makes it quite convenient to grab a bite and even a glass of wine at Centurion, where they have $5 Panini specials (edit: this restaurant is now closed). 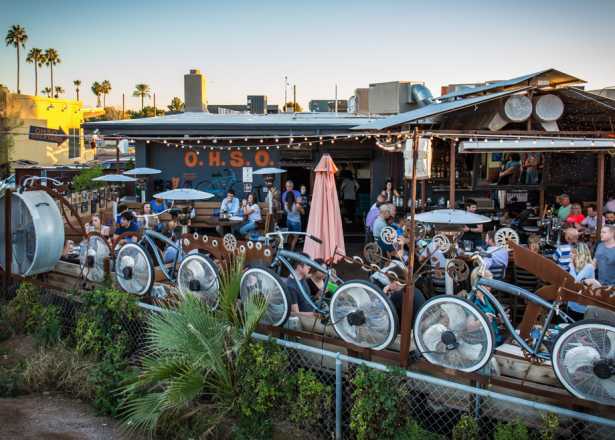 A quick ride on the light rail will bring you back downtown where you can experience a few free museum tours, including the Phoenix Police Museum and Wells Fargo Museum, and maybe a paid tour or two at the Orpheum Theater or Rosson House in Heritage Square. At that point you can have a few drinks at Rose and Crown or Bar Bianco while you wait for an early dinner at Pizzeria Bianco featuring James Beard Award Winner Chris Bianco and his world-famous pizza. Now that the sun has set and the city has started to cool off, you can take a scenic stroll down Monroe Street, passing the new Arizona State University campus, St. Mary’s Basilica and the Herberger Theater on your way to catch the evening show at Crescent Ballroom, where you are welcome to have a few more drinks if you like or enjoy a late-night snack of Mexican street food. Before turning in, join the business crowd for a midnight martini at Hanny’s across the street from the hotel. Here, you can explore the basement, doll museum and historical elevator shaft where the Phoenix Fire Department once trained newcomers to the force. I know it’s a lot to squeeze into one day, but if you only have one, live it like you mean it! It is a business hotel that is new to the downtown scene, but knows how to get things done. The focus of the brand is to provoke discovery of local and intriguing businesses while at the same time generating lasting partnerships and building a strong community. Do you have any fun facts about the hotel? When the hotel was designed and then built in 1975, the architect took the desert sun into consideration and based specific design elements around keeping the sun away from the hotel guests. One of those design factors was the awning-like structures that cover the windows. This architectural element was based on the design of old adobe pueblos, and it gave the hotel its defining characteristic: It has since been designated a city landmark as the “Cheese Grater Building”. In the falling afternoon sun the reflection from the Hyatt casts perforated, sequined light on the east side of the hotel, completing the cheese-grater illusion. Any other advice for visitors to Phoenix? Be sure to check out First Friday and Food Truck Friday in downtown. The first Friday of every month is one of the biggest monthly events of the city. 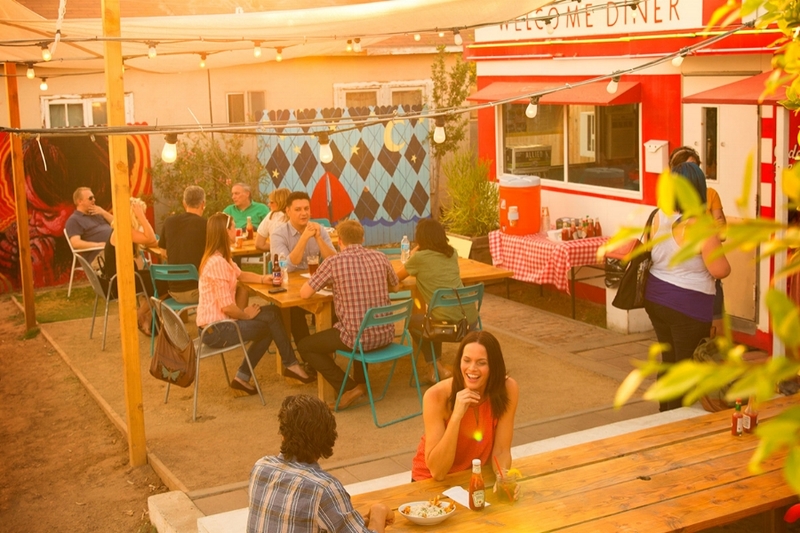 As the sun drops, Roosevelt Row comes to life with an impressive fleet of food trucks that deliver unheard-of concepts and mouth-watering menu items. Galleries display some of the best and brightest artists Phoenix has to offer, and the streets are alive with entertainment, from live bands to live painters. If you happen to be in Phoenix for the first Friday of the month, don’t miss this.